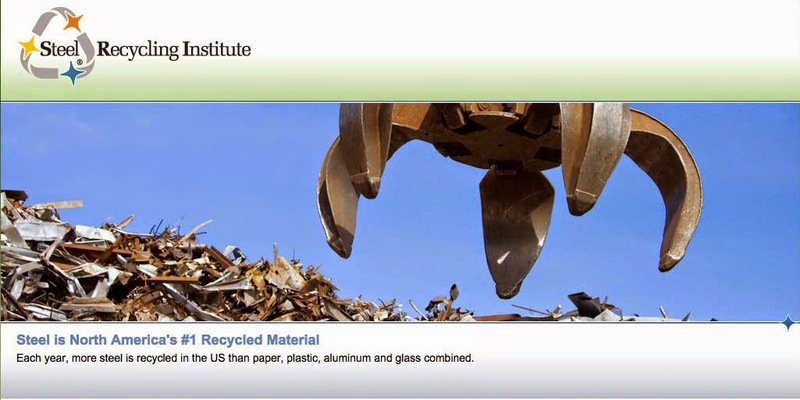 This February, the SCRI and the American Iron and Steel Institute (AISI) launched the Florida Steel Recycling Partnership in Tallahassee. The purpose of the Partnership is to educate a broad audience on the recyclability of steel and steel cans. Companies, organizations, and government officials who have an interest in steel recycling were invited to attend the kick-off briefing. Tallahassee - In January 1990, Tallahassee began its commingled curbside recycling program with weekly pick-up of steel and aluminum cans, glass containers, plastic beverage containers and newspaper. In April 1991, the city initiated recycling for multi-family dwellings. In total, approximately 51,000 residential units are now served by the program. Leon County - The Leon County recycling program began in January 1990, with eight drop-off collection sites strategically located through the County. Since then, the program has expanded to 14 locations, servicing 63,000 residents. The program collects 160 tons of recyclables per month; this includes steel and aluminum cans, glass containers, plastic beverage containers and newspaper. Gainsville - A joint city-county recycling program in Gainesville includes curbside, apartment, and institutional recycling. Every week, 36,000 households are serviced by a commingled program that includes steel and aluminum cans, plastic milk and soda jugs, glass bottles, and newspaper. Residents of 4,000 apartment units participate in a similar recycling program. Dade County - Dade County, through the Metro-Dade Department of Solid Waste Management, conducts a curbside recycling program of approximately 260,000 households. This is a two-bin program, with one bin for newspaper and one for commingled steel and aluminum cans, all colors of glass containers, and HDPE and PET containers. Jacksonville - In 1988, Jacksonville began recycling at the curbside. In June 1990, the commingled curbside program was expanded to include approximately 196,000 households. Materials collected include: steel, aluminum, glass and plastic containers, newspapers, catalogs, magazines and brown paper bags. In addition to the curbside program, the city has 11 drop-off sites. Currently, the Partnership consists of steel industry representatives, steel can producers and users, solid waste management officials, and recycling organizations. Members of the Florida Partnership include: Clean Florida Commission, Florida Business & Industry Recycling Program, Keep Florida Beautiful, Inc., and the Retail Grocers Association of Florida.